As part of my recent weekend with the Civil War Trust I took part in a tour of downtown Charleston. The organization made arrangements with a number of guides, most of which were at least somewhat knowledgeable. Unfortunately, my guide was an absolute disgrace and at times reckless with his interpretation of one of the most important historic sites in the city. I guess it was an attempt to be charming, but at the beginning of the tour our guide asked us where we were from. In my case, he called me an abolitionist scoundrel, but thanked me for his job. I guess he was acknowledging the importance of tourism to the local economy. This was followed by a request to the group to hiss whenever William T. Sherman’s name was mentioned. I obliged by responding with, “Saved the Union” instead of the required hiss. Finally, our guide insisted on asking us if discussing slavery was permitted since it is such a “sensitive topic.” Apparently, he was unaware that his group was made up of history teachers. So, you can imagine my concern as we walked toward the slave market. Any guide needs to think carefully about how to present the history of the slave market based on the profile of the group in question. The subject is sensitive and interpreters must tread carefully, but the history is crucial to understanding a huge chunk of Charleston’s history. Instead of introducing the subject our guide asked us to imagine that we were slaveholders coming to market to purchase property. We were to think about what kind of slaves we were interested in purchasing. No introduction to the site. No discussion of anything having to do with the history of slavery and race relations in Charleston. What I couldn’t believe was that the teachers in the group actually responded to this inane question. Finally, our guide came to me. I responded simply: “I am not interested in buying a slave.” Once we had finished this little imaginative exercise I asked the guide if he could talk a bit about how this may have looked from a slave’s point-of-view. He clearly knew very little. It was a surreal experience. At the end of the tour our guide asked if I was offended back at the slave market. I think he was asking specifically if I was offended by the mere discussion of the subject. Rather than share my thoughts I simply thanked him for the tour and walked away. If you are going to Charleston make sure your tour of the city is led by a competent interpreter. Perhaps some of you who are more familiar with the city can offer some suggestions. This was just one guide on one tour, but I suspect that this is a case of where there is smoke there is fire. I suspect quite a few tourists love that cutesy shtick. It’s awful, but it’s pretty common. In my town there’s a spot in with a high curb (for offloading wagons) in front of a building that was once a commercial warehouse. There are several iron rings set into the curb, where horses could be tied. Naturally, the carriage drivers giving tours tell visitors that “that’s where they chained the slaves” when fashionable antebellum ladies went shopping. I don’t know how much of this hokum tourists believe; I suspect lots of them are only in it for an entertaining story and 48 hours later have forgotten it. But it’s annoying, and it presents a real conundrum for historical groups. A lot of any community’s history is really dull, in terms of appealing to the public. The things that “sell” (and actually generate income that historical groups desperately need to keep the lights on) are often deeply silly things like haunted cemetery tours because those bring in the cash. I guess the bottom line is that there wouldn’t be guides like the one you encountered if there weren’t a critical mass of people who enjoyed and encouraged such behavior. I was so startled by this news that I made a separate blog post with link back to this one on my own blog. I wake up this morning still strongly disappointed in this. A little humor is fine but the repetition of Sherman (especially since Charleston was spared the wrath his his soldiers) is annoying and the disregard for how the slavel trade worked is enraging. It still befuddles me that people think imagination is some kind of window into the past or leads to historical understanding. Of course, it can play some role, but apart from any historical background/context it’s not only useless, it is also dangerous. This guy was completely incompetent. One can only imagine how many visitors he has come into contact with over the years. This is small consolation but at least the guide didn’t just ignore the slave market altogether. I’ve been on tours where slave quarters or a slave market are completely avoided – seemingly because discussion of them is deemed to be in bad taste. Similarly, I’ve visited an outdoor market in a fairly prominent town that clearly used to be a slave market and there is absolutely no reference to its former function, despite abundant historical interpretation elsewhere. I wonder in this case whether it would have been better to just ignore it. You make a good point. What your comment points to is the necessity of preparation and thoughtfulness when it comes to interpreting these sites for the public. Again, I am not sure how that would have gone over if we had been standing in Dachau, Germany, if the question had been how it would have felt being a concentration camp guard. And how about hissing at the mentioning of Marshall or the Allies? My point is that the audience, in this case American history teachers, should have bombarded the tour guide with criticism and questioning his motivation. The audience in this particular case (but I could find other examples, too) was just way too complacent with this from what you report. I am completely stunned that any human being would listen to this and not OPENLY object. What is wrong with these people??! I am more appalled by his audience than the racist himself. Oops, I said the R word. I live in Beaufort county sc.. Last year came across Martin delany .. Kind of surprised that he isn’t mentioned in history here or in charleston.. One point is that, for his own reasons, he probably provided the swing vote to elect wade Hampton on 1876., some argue that Hampton was key in the presidential election.. Couple of months ago asked Bernard powers at the end of a lecture why delany is an unknown here in the lowcountry and south Carolina history.. His answer started with the lead in.. Ended with we must hope for small steps.. The slave museum is the result of a box check many years ago.. It is poorly done and not worth the visit..must my opinion..
powers published good book on the charleston slave society..
SC governor vetoed some funding for Afro American museum in charleston.. I attended the Civil War Trust teacher workshop in Boston last fall(outstanding!). The NPS did a tour of Beacon Hill, a large section of which was Boston’s black neighborhood in the 18th and 19th century. The ranger was enthuasiastic, funny at times, but treated serious topics with an appropriate attitude. He made history seem important, consequential, and therefore being in an historic place important and worthwhile. The Charleston slave market is a unique opportunity that is still to be realized. The NPS does an outstanding job here in Boston. Your experience, sadly, is not atypical–there is a plenty of fire on this one. My wife and colleague, Blain Roberts, and I have been working on a book on how slavery has been remembered in Charleston since the end of the Civil War. In the process, we have taken more than 40 historical tours of Charleston since 2005. The vast majority of these tours (whether carriage, plantation, house, bus, or walking) largely ignore slavery and the city’s history of race relations. Others, like the tour you took, touch on these issues in a fleeting and bizarre fashion. (For the record, four years ago I too suffered through the same awkward slave bargain routine as you). Although things have started to improve over the last two or three years–and there are a few walking tour guides who do an impressive job dealing with slavery and race–most tourists today leave Charleston with the same lily-white vision of the city’s (and nation’s past) running through their heads as tourists in the mid-20th C.
Blain and I explore this topic at length in our book, which should be out in 2015–the sesquicentennial of the end of the slavery in the United States. For our preliminary thoughts on historical tourism in Charleston, see our book chapter in Karen Cox’s edited volume Destination Dixie: Tourism and Southern History, which will be published by the University Press of Florida this November. The quotation we use in the title of essay–“Is it Okay to Talk about Slaves?” Segregating the Past in Historic Charleston”–seems to have come from the mouth of very tour guide who so disturbed you. I am happy to recommend several good historical guides in the area if anyone is interested. Thanks for taking the time to write. Glad to hear your essay will be included in Karen’s forthcoming volume, which I’ve known about for some time. Thanks for offering recommendations for those heading down to Charleston. As a long-time tour guide in Charleston I look forward to reading your book. Hopefully , I wont wind up in your rogues gallery, as I am guilty of giving some pretty lousy & lopsided Civil War tours in the past (hopefully, I’ve gotten better). Please email the list of knowledgeable guides, I would love to see how they present the information. Doug-you’re a friend, but I disagree with you about the Old Slave Mart Museum! Come see me over there; I’m there 25 hrs a week these days! Ethan – I would be very interested in some recommendations for guides in Charleston, and will be down that way in a couple of months. If you don’t feel like posting them here, please do email me. Thanks! Michael – We won’t have a “rogues gallery” as we are more interested in documenting what is happening than exposing individuals. In that spirit, I am happy to send you some names of guides via email, but I’d prefer not to get in the business of advertising for (or against) individuals on the web. 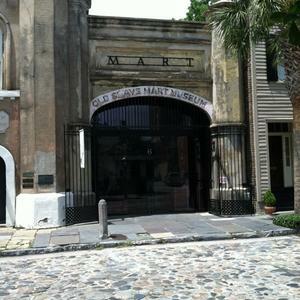 And, by the way, I agree with you on the Old Slave Mart Museum–they do a solid job. Michael Weeks – I sent you an email with some recommendations. Ethan, I’ve been shamelessly “Googling,” trying to find a little of information to help me with an article I’m writing about the lack of public memory in Charleston with respect to Sarah and Angelina Grimke, when I saw your post. I’m quoting your “Looking the Thing in the Face” article to establish that Charleston’s efforts to build a tourist economy directs the visitor’s attention, intentionally, to the colonial narrative, whitewashing its history. Thanks so much to you and your wife for writing that piece! Excited to see that you have a larger book project attached to that. I would love to be able to trade stories some time because I have been on a few of those tours as well. I have some good stories about my mission to “find” the Grimkes in town, as well. I was able to collaborate with the Charleston Museum (really great folks) to incorporate a small display in the Heyward-Washington house, just to acknowledge that Sarah had lived in that house. This reminds me of how very nervous I once made a tour guide at Woodrow Wilson’s boyhood home in Staunton, Virginia when I asked her if Wilson’s family owned any slaves. At least she managed to stammer out that they leased slaves, although she was defensive about it. But that was over a decade ago! I’m appalled at what you describe, particularly the odd combination of treating slavery as a potentially out of bounds, sensitive topic and then lurching in the other direction with the truly offensive suggestion that you imagine yourself bidding on a slave. What I wonder about is the motives — or lack of knowledge — of the organizers. Was this person the most knowledgeable of tour guides they had available? If so, then what does that say about the historical memory of the organizers? And what was the knowledge level of the participants that they did not nail that guide to the proverbial wall? Did they think the guide was accurate? will always affect the present and future of America. I’m a tour guide at one of the sites in Charleston, and honestly, I completely think what he did was offensive and absurd. I do use the “imagination” technique to get people in the mood, but this was totally uncalled for. The slave museum is an EXCELLENT museum to visit and I highly recommend it to all. And Michaela, as dark and evil as slavery was, there is no comparison to Dachau or any of the prison camps. I’m the grandson of a survivor of Bergen-Belsen. He would much rather have been a slave in the antebellum south. Not saying that slavery was a good institution or justified or non-racist, but to see your people willfully exterminated and gassed to death is a bit more gruesome in my mind. But then again, all evil is evil. North and South were both to blame for that wretched and peculiar institution. Comparisons of the whether the Holocaust or the Maafa (or even just American slavery) was worse are odious and serve no useful purpose. I don’t think that’s what Michaela was doing. Not everyone who invokes concepts related to the Holocaust or Nazi Germany when it comes to slavery is falling prey to Godwin’s Law either. It’s simply that the Holocaust is the other historically “most evil” thing that most people are aware of.